Today, we’re going to help you find the best budget gaming monitor for your needs. Whether that means a cheap IPS panel, a budget 144Hz monitor, or anything in between, we’re sure that one of the six options listed below will be right for you. In case there are any specs you don’t understand, feel free to scroll down to the buying guide below. We’ll give you a rundown of what each of our specs mean, that way you have a better understanding of what you’re buying. This is actually one of our favorite monitors on this list. Not only is this the cheapest gaming monitor on this list, but it also has a lot of all-around utility. A 75 Hz refresh rate helps offset its high response time, it has a fairly strong IPS panel, and it even supports FreeSync! Thanks to the smaller size of this monitor, the PPI should be superb, allowing for a much clearer image than a 24-inch display of the same resolution. Well, look at it. It’s only 21.5 inches. That’s a lot of real estate you’re losing compared to a standard 24-inch; that can be bad for desktop usage and gaming alike. You don’t want to have to squint to see a sniper in the distance in Apex Legends, and ideally, you won’t need to zoom in to read text when multitasking, either. Unfortunately, both of these are possible scenarios with a monitor this small. Unless you have 20/20 vision or intend on sitting real close to it, this one might actually be a little too small for its own good. Let’s say you just want a bare essentials gaming experience-- with a focus on performance-- at the cheapest possible price. 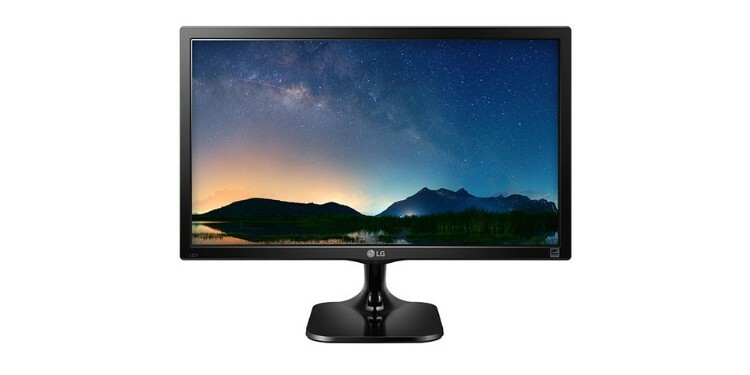 If that sounds like you, this LG 24 inch gaming monitor may be exactly what you’re looking for. Its 1080p resolution and 24-inch size mean the image will be decently sharp. The 60 Hz refresh rate is standard, but the 2ms response time is much better than what you’ll find on most budget TN panels. This Acer gaming monitor is yet another strong contender from Acer, boasting a 75 Hz refresh rate, FreeSync, and even a 1ms response time. It frequently goes on sale, too, which makes it even more fitting for a budget roundup like this one. The only real downside of this monitor is that it uses a TN panel, but honestly… that’s a little bit of a nitpick. You aren’t getting a monitor at this price, with these features, and an IPS display. That display doesn’t exist in 2019, and it won’t exist for many years, if ever. If you want a feature-packed 24-inch gaming monitor, this is a great choice. Okay, okay-- we know this is a “budget” roundup, but a lot of you are searching for budget 144 Hz monitors, which means we have to find the cheapest 144 Hz monitor that we’re comfortable with recommending. After three Mountain Dew Voltages and a long evening, we found the perfect pick: an AOC monitor. 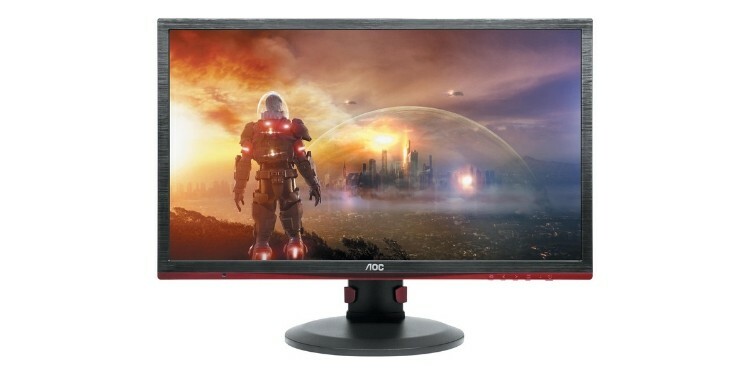 This AOC 144 Hz monitor is dirt cheap for its capabilities, retailing for just about $200. In return, you get FreeSync, a 1 ms response time, and most importantly, a 144 Hz refresh rate. Interestingly, you also get plentiful height and tilt adjust options-- that makes this monitor a great deal, all things considered! While we do have to dock some points for this not really being a very cheap computer monitor-- and it using a TN panel-- don’t let that deter you. If you’re a competitive gamer on a tight budget, this is the monitor to get. It is absolutely worth the extra time spent saving up for it. 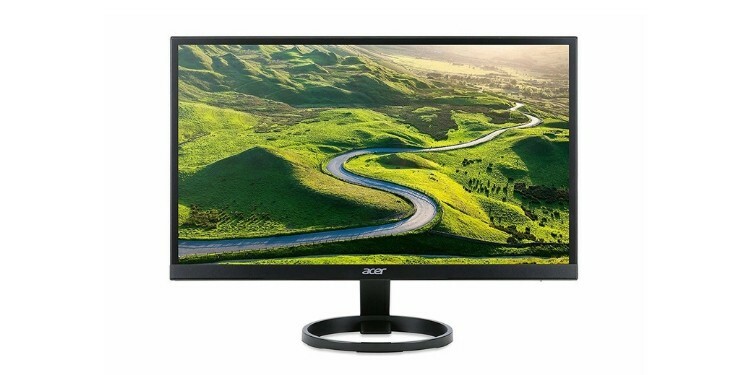 By now, a few of you might be groaning: why are there so many Acer monitors? 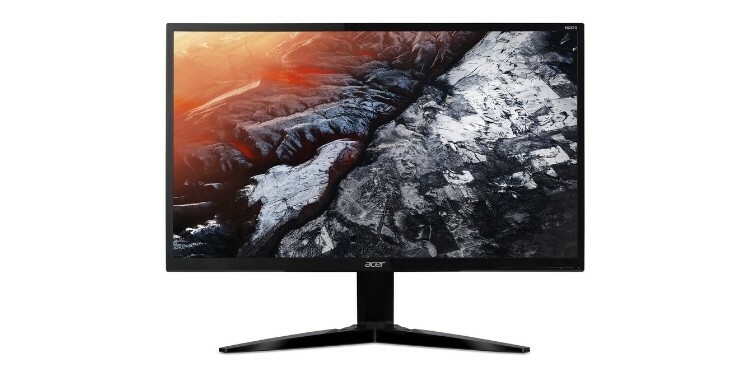 Turns out Acer just sorta dominates the budget monitor range. We chose based on specs and reviews, not any kind of brand bias or loyalty. We’re just as surprised as you are. 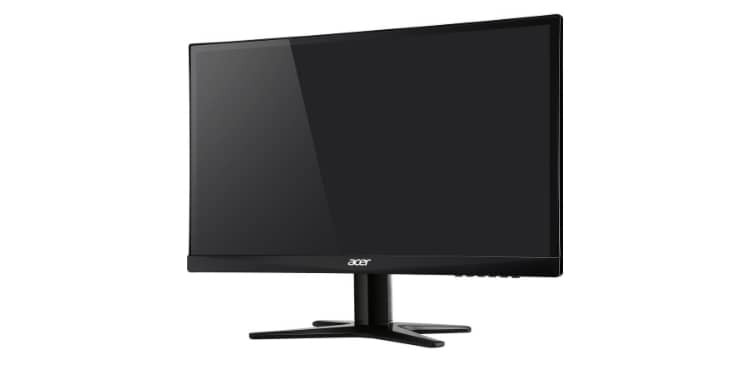 If you want a 1440p monitor for the cheapest price possible, Acer has you covered with a few extras. In addition to 1440p, you also get a 25-inch display size (meaning excellent PPI) and an IPS panel. This means your image should be sharper, clearer, and more vibrant than pretty much any other monitor on this list. However, those benefits will come at a cost. You have a somewhat high response time of 4ms, you don’t have any VRR tech… and this is actually the most expensive monitor on this list. It is only “budget” by 1440p standards-- it’s going to cost you a pretty penny otherwise. 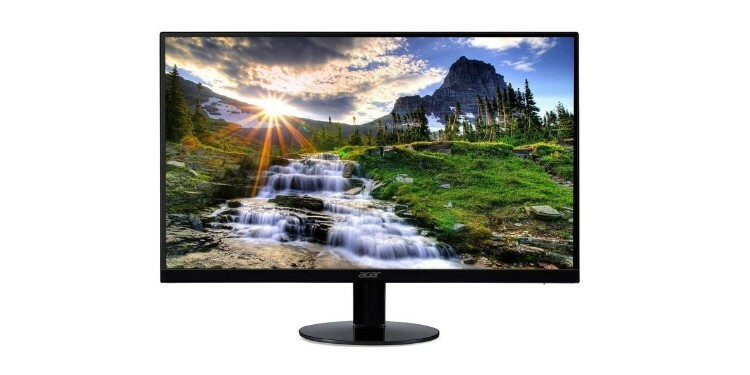 Last but not necessarily least is… yeah, another Acer monitor. We swear we didn’t do this on purpose. All that being said, this Acer monitor is pretty nice to look at. You have a 23.8-inch size (basically 24), thin bezels, and a vibrant display thanks to the IPS panel. Even by IPS standards, the picture on this monitor is pretty good. The out-of-box color accuracy is fairly strong, and after some adjustment, you can get one of the best images possible out of all the monitors on this list. However, you’re also making some sacrifices for the IPS panel and decent screen size. Namely, the response time is a little high and there is no VRR to speak of. Input latency shouldn’t be bad, but we would recommend against this monitor if you’re gaming competitively. If you’re mainly gaming casually or just play single-player games, then it should be fine. If you aren’t sure what all the specs we’ve listed above mean, don’t worry: we have you covered. In this section, we’ll break down different specs and explain what they’ll actually mean for your gaming experience. PPI stands for “pixels per (square) inch”. The higher the number, the clearer the image will seem to be. We’ve decided to include PPI measurements in our monitor reviews (we are, in fact, the first to do so!) as a way of better gauging visual quality across different monitors. For most people, the ideal PPI for a desktop monitor will be roughly 90. This is where everything appears clear at an average viewing distance, and nothing seems particularly muddy or blurry. The size where 1080p monitors have about 90 PPI is 24 inches; for 1440p monitors, this size is 27 inches. When you have a higher PPI, the image onscreen will seem significantly clearer, even if the resolution doesn’t change. A 22-inch 1080p monitor will have a higher PPI than a 24-inch 1080p monitor, but if you shrink screen size or increase viewing distance enough… this difference will be less noticeable. The key is to find a balance. TN – TN panels have rapid response times and cheaper costs but at the price of much worse color reproduction and viewing angles. Ideal for competitive gamers. IPS – IPS panels have excellent viewing angles and better color reproduction, but higher response times and higher prices. Ideal for non-competitive gamers. 60 Hz – The baseline for a smooth experience, able to show framerates up to 60. The standard for most monitors. 120 Hz, 144 Hz, and higher – Even smoother experiences, preferred by eSports and competitive gamers. Gaining more popularity. 1-3 ms – Low response time. Provided the rest of the monitor is up to par, this is an ideal range for a responsive gaming experience. 4-5+ ms – High response time. A higher refresh rate can compensate for the higher input latency a little bit here, but for 60 Hz gaming monitors this is less ideal, especially for competitive gaming.